My friend downunder, Steve Fogg, inspired this blog post or at least encouraged me to write about it for my readers. When I create a secret shopper report for churches, the first thing I report on is the church’s online strategy and the first thing I look for is the church’s Facebook presence and specifically is they have a custom landing page. Why is this important? To put it simply: If you’re trying to reach people, Facebook is your mission field. Facebook just passed 500 million users and if it was a country it would be the third largest in the world! By the way, if we’re not already friends on Facebook, we should be. Add me HERE. Instead of giving you a step by step ‘how to’ on this post, below are some links which others have used as a tour guide to getting it done and also getting started on Facebook. Any and all of these can more than help you. Darren Rowse from Problogger gives the clearest step by step instructions for creating a Facebook landing page here. Brandon Knight provides an another excellent step by step guide. DesignM.AG shows who they consider the best landing pages on Facebook are. Smashing Magazine gives some insight and help here. If your church isn’t on Facebook yet. Get on. ChurchCrunch provides 4 tips to help you get started. I created one for my secret shopper company HERE. If you’re not a member of the page, please join for special tips, insights and resources for your church. 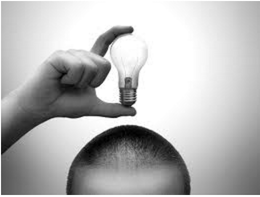 Have you created any custom functionality in Facebook? 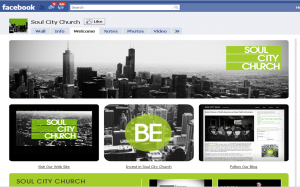 How would you rate your church’s Facebook presence? Also, do you have some other awesome church Facebook landing pages that I need to know about and list? Share!